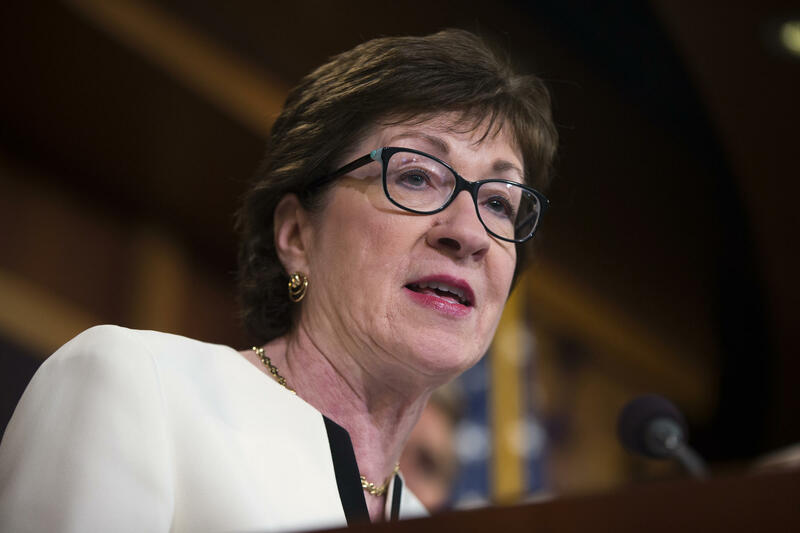 Sen. Susan Collins, R-Maine speaks during a news conference on Capitol Hill in Washington, Tuesday, June 21, 2016, to unveil a new gun legislation proposal. After four failed gun control votes in the Senate on Monday, a new proposal to prevent gun sales to those on the federal “no-fly” list will go up for a vote as soon as this week. WPSU intern Min Xian visited a local gun shop to get reaction to potential restrictions. Sam Vitullo is the store manager of Belding and Mull, a gun shop in Philipsburg. Vitullo says he’s not sure whether new legislation might affect business, but he says it may have spurred a customer to buy a gun earlier that day. “He is afraid that because of the shooting in Orlando, that legislation would be passed that will prohibit him from owning these types of guns," said Vitullo. The owner of the gun store, Fred Grauch, says in addition to running background checks on buyers, they also rely on instincts. “If our staff isn’t comfortable, something just doesn’t seem right," said Grauch, "or if we think it is a straw buy - where someone is buying for someone who’s not allowed - we just wont let it happen." The new “no-fly” bill, created by Republican Senator Susan Collins, has gained support from fellow Republican Senator Pat Toomey of Pennsylvania. It will still need more support from both parties in order to pass.